Shickluna Bikes will not only sell quality bikes that will hold up over time, but also offer an outstanding value for the price. 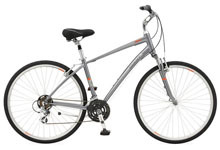 Our bike lines will offer you the latest technology for the best available price. We feel that Giant offers innovative products for prices the competition can't touch. Stop in and compare our bikes before you spend more than you have to somewhere else. 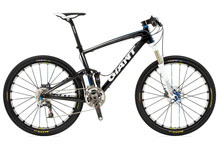 We carry Giant bicycles. Check out their website for a preview of what you'll find in our shop. 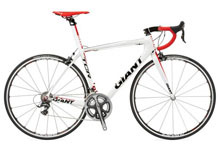 If you're not sure of what you're looking for check out Giant's bike finder tool. I like to tame every time of terrain, or at least ride off the beaten path. I ride for fitness and freedom. Flat-bar control and road bike speed. We have all the gear and accessories you need, including apparel, computers, gloves, lighting, tools, lubes, cleaners, helmets, racks, bags, components, locks and more. I ride on paved roads and paths. I ride to compete and push my limits. I ride paved roads and paths. I ride for fun and function. Need help finding the right bike for you? Click here to easily find the bike that best suits your cycling adventure.